I am in Moscow right now. 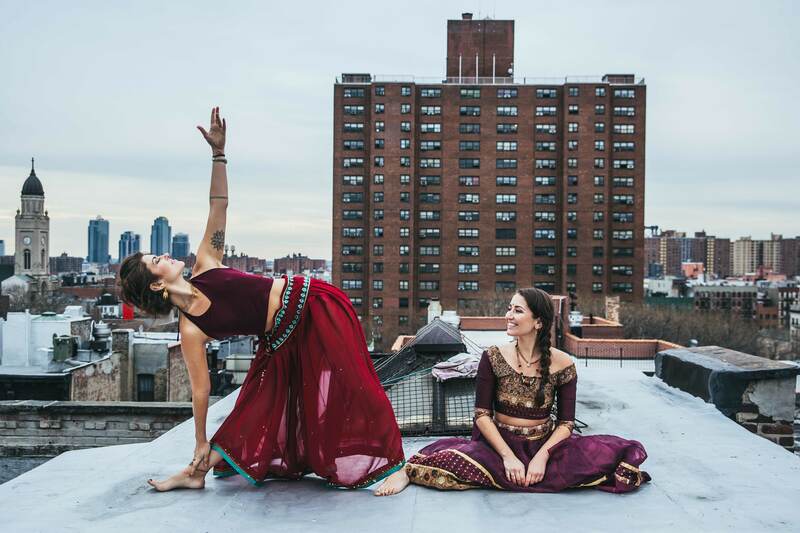 Over the last few days here we celebrated Sri Krsna Janmastami, or the Appearance Day of Lord Sri Krishna. 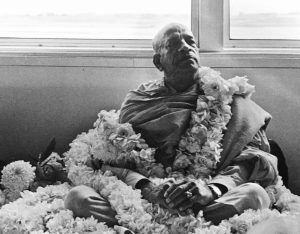 The following day, which is called the Nandotsava—the day when Krsna’s appearance festival is celebrated—is the Appearance Day of my guru, Srila Bhaktivedanta Swami Prabhupada. 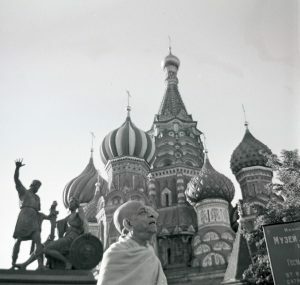 Prabhupada spent five days in Moscow in 1971. During that time he met a young Russian boy and taught him some basic principles from the Bhagavad Gita of Bhakti Yoga. This year, for Krishna Janmastami, Prabhupada’s devotees booked the largest stadium in Moscow for the festivities. It was a Monday, a workday, and the first day of school for the children here. The temple president was apologizing to me that, because of the circumstance, only eight thousand people showed up to attend the festival. To me, eight thousand people is a miracle of grace! 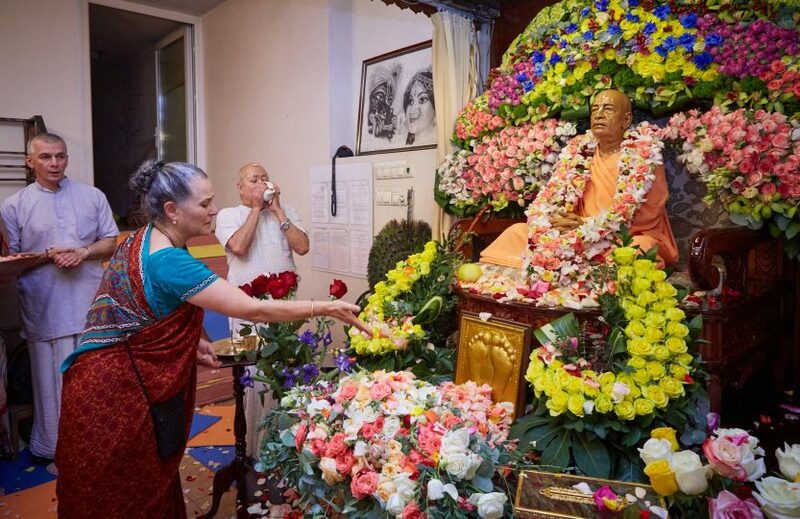 After only forty-seven years, there are thousands of devotees of Krishna living and serving throughout Russia. His bow again lifted, with arrows aligned. To hear in this way brings deep realization. My heart ignited through sacred sound. All seasons, all places, become sublime! To hear your dictation and words most potent.